Since June 2005, the prestigious OCEANS conference series is celebrated every year promoted by the Oceanic Engineering Society (OES) of the IEEE. Its goal is that engineers and scientists promote, disseminate and exchange their knowledge and scientific-technical advances in the fields of Marine Technology, Ocean Science and Ocean Engineering. This is done with the purpose of raising awareness regarding the important role played by the sea in our lives and our environment and the use of technology to preserve it. To attend the OCEANS 11 IEEE Santander Conference, please fill in the registration form via the link here. Each delegate must fill in a separate form. 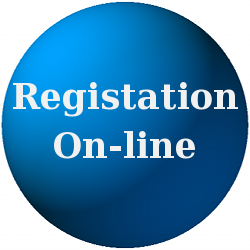 All registrations must be done online via this website. If you are the corresponding author of a conference paper or student poster (the author who will be submitting the final paper), do not register here. Please register (at the Full Registration/Paper Registration rate) as part of the paper submission process, after you receive notification that your abstract has been accepted.